Neil Sturomski is the former Director of the National Adult Literacy and Learning Disabilities Center, a Center established by the National Institute for Literacy. With more than thirty-five years of experience related to education, adult education, and individuals with learning disabilities and other special learning needs, he has worked in a variety of capacities including direct service, diagnostics, administration, curriculum design, research, information management, data collection, evaluation, and graduate-level teaching. Mr. Sturomski has taught students with learning disabilities in grades K – 12, students at-risk in a junior-high setting, “regular” education students, adult education students, and adults with learning disabilities at the Lab School of Washington’s Night School, a program exclusively for adults with learning disabilities. He went on to become the Director of the Lab School of Washington’s Night School and held that position for more than six years. As the Director of the Night School, he did more than 800 evaluations of individuals with suspected learning disabilities. In addition, at that time he also presented numerous workshops to national and community-based adult education and literacy programs on identifying and providing instruction to all adults in adult education including those with disabilities. Click here to view his complete résumé. Mr. Sturomski has a B.S. in Psychology and Sociology and an M.S. in Special Education with an emphasis in Developmental and Learning Disabilities from the University of Wisconsin. In addition, he has done extensive postgraduate work in Special Education and Adult and Continuing Education at the Johns Hopkins University. 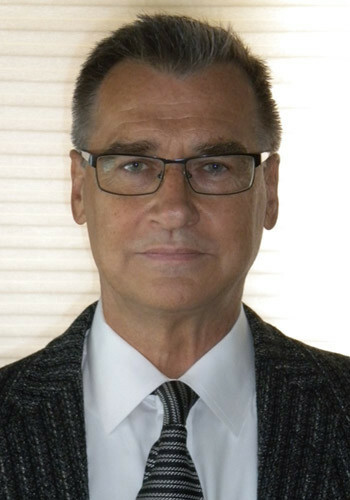 He has also written articles and book chapters on learning disabilities, adult education, the issues of literacy, transition and employment, professional development, screening, and intervention techniques and strategies. Mr. Sturomski has taught college courses in behavior management, educational strategies, and learning disabilities, including a graduate-level course on developmental and formal diagnostic assessment for individuals with learning disabilities for both the George Washington and American Universities. Finally, he has served as an advisory board member to the National Clearinghouse on Postsecondary Education for Individuals with Disabilities, the National Association of Adults with Special Learning Needs, and the Learning Disabilities Research and Training Center. In 1996 Mr. Sturomski formed Sturomski & Associates, a consulting firm whose primary mission is to help adult educators, literacy practitioners, employers, and job training program instructors better meet the needs of adults with learning disabilities. By bringing a variety of skills and a wealth of experience to strategic program planning, training events, workshops, data collection, program evaluation, transition programming and policy support, Sturomski & Associates promotes a major objective of adult education and literacy programs: helping individuals – especially those at-risk and those with learning disabilities – experience success in their lives. Since forming Sturomski & Associates Mr. Sturomski has served and in many cases continues to serve as a consultant for many states, agencies, and organizations. He was also a consultant on learning disabilities and disability issues for the General Educational Development Testing Service (GEDTS). At GEDTS he did numerous reviews of accommodation request. He also provided training on learning disabilities, assessment, effective instruction, transition issues and support services, and accommodation issues to states, at state adult education and GED conferences, and at national conferences. He has been featured on LDOnline, the leading Web site on learning disabilities, as “Ask Neil Sturomski.” He recently wrote two professional development “booklets” one on reading and the reading process and the other on the use of “advance organizers” in adult education. Recently he was the external evaluator on two Georgia Technology Institute grants where he worked through the Alternative Media Access Center. One grant supported postsecondary students and the other incarcerated individuals. Most recently he worked on adult education instructor mentoring projects in Wyoming, Nebraska, and Arkansas and continues to support both Arkansas and Nebraska in their projects. He is currently working on the mentoring project in Idaho. He also continues to provide workshops and training in other states. He also serves on the Pinellas County Urban League’s Education Committee. His first novel “SƆRAMBLƎD” is currently available and he is working in his second novel “UNSCAMBLED”.